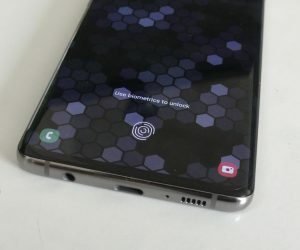 Back in December, we began hearing and seeing rumors about Huawei’s plans for its next flagship lineup with the Huawei P11. 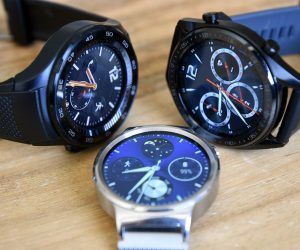 Surprisingly, Huawei will be releasing three variants of the device, all which a little bit different from the last thanks to some new schematics which have been leaked. 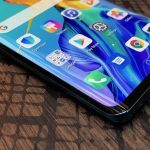 However, it seems that Huawei will be changing up the moniker a bit as the new lineup of devices will be named the Huawei P20, Huawei P20 Plus, and Huawei P20 Pro. 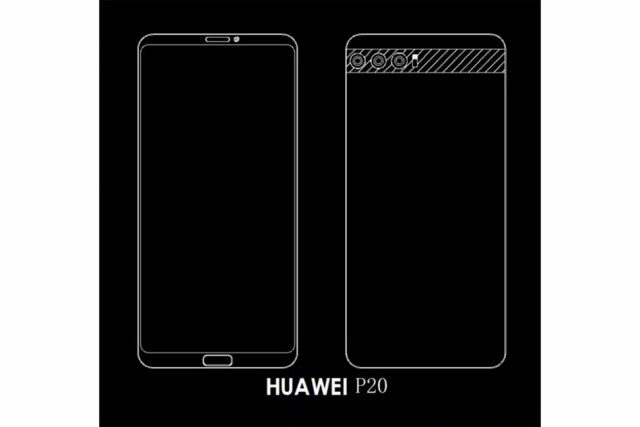 Starting off with the similarities, all three devices will sport a bezel-less display, albeit the actual design for the Huawei P20 Pro will be a bit different. 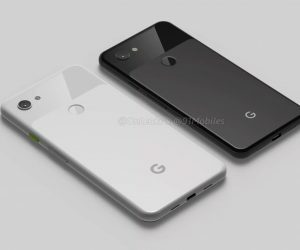 Additionally, all three options will have three rear-mounted cameras, although they will be arranged differently. The P20 and P20 Plus will both have a front-mounted fingerprint scanner, with super slim bezels at the top and bottom for the earpiece and front-facing camera. 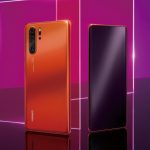 However, the P20 Pro will not have a fingerprint scanner on the front, as it will be moved to the rear of the device. The P20 Pro schematic also a familiar look as Huawei is likely to adopt the “notch” concept that we have seen on the Essential Phone and the iPhone X. 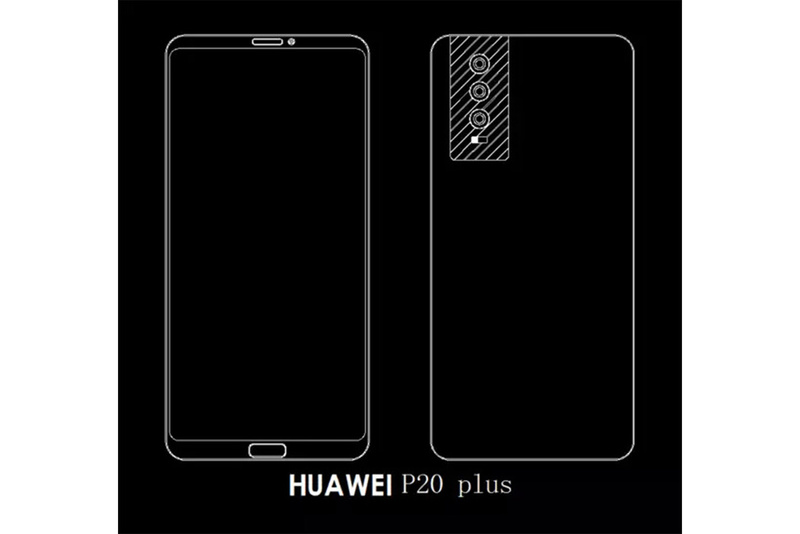 The P20 Pro will also have a vertically-mounted triple camera setup, and it will be placed in the center of the device, whereas the P20 Plus’ camera is arranged along the left-hand side of the device. The standard P20 will have a horizontally-arranged triple camera setup, with the LED flash placed to the right. 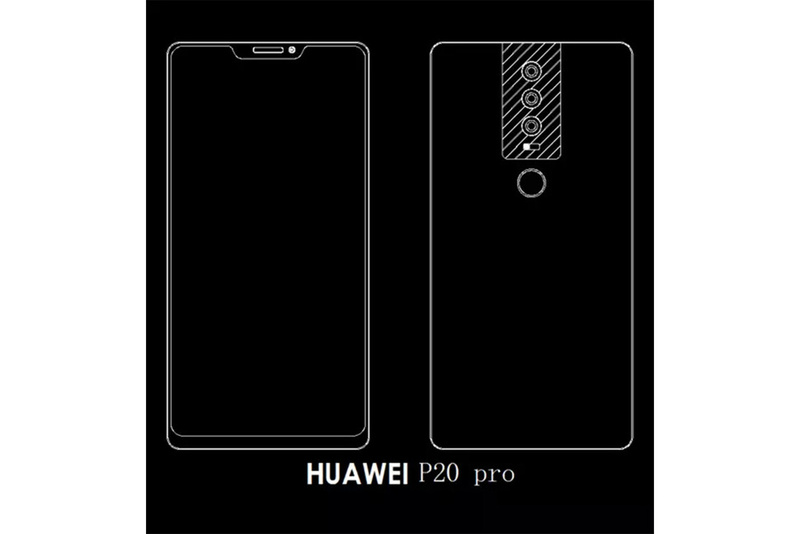 It’s also possible that there is a band going across the back of the P20, similar to what we have seen with the Huawei Mate 10 Pro, but this is purely for aesthetics. 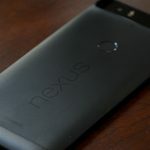 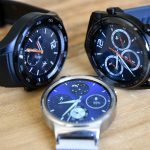 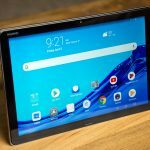 Unfortunately, there’s not much more information shared regarding these devices, so we’ll have to wait until Huawei makes the official announcement at Mobile World Congress next month. 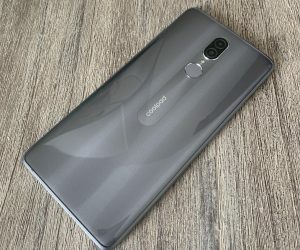 Let us know whether you think Huawei will kickstart a trend of devices being released with three rear-mounted cameras, or if this is just a one-off.